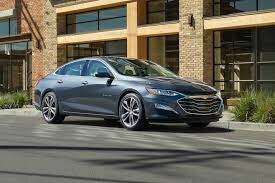 Unveiled in April, the 2019 model year versions of the Chevrolet Malibu, Chevrolet Cruze and Chevrolet Spark all feature impressive styling elements that showcase Chevrolet’s commitment to elegance and refinement while also featuring a unique design that can be recognized immediately and from afar. By unveiling these three models, Chevrolet also proves that the American automaker is not planning on moving away from building cars any time soon. Indeed, the brand new 2019 Chevrolet Malibu, Cruze and Spark are part of three of the most important segments of the automotive industry, and GM will continue to put their best product forward in these three categories. Contact us today at Surgenor Barrhaven to learn more!